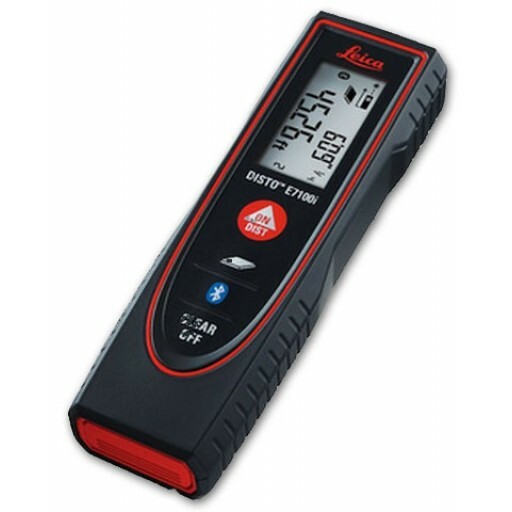 The E7100i can connect to a smartphone or tablet via Bluetooth Smart (4.0), and is the least expensive laser distance meter with Bluetooth on the market. Use it with the Leica DISTO Sketch App to easily create and send floor plans or images with measurements layered on top. The E7100i measures distance and it calculates area -- the two functions that interior finishers and real estate professionals use the most. Bluetooth and the Sketch App makes it easy to send precise measurements to a tablet or smartphone and to share them instantly via a PDF. Easily send accurate room measurements to your mobile device. Use the DISTO Sketch App to create and share floorplans. Dimensions (HxDxW) 4.72 x 1.46 x 0.91 in.